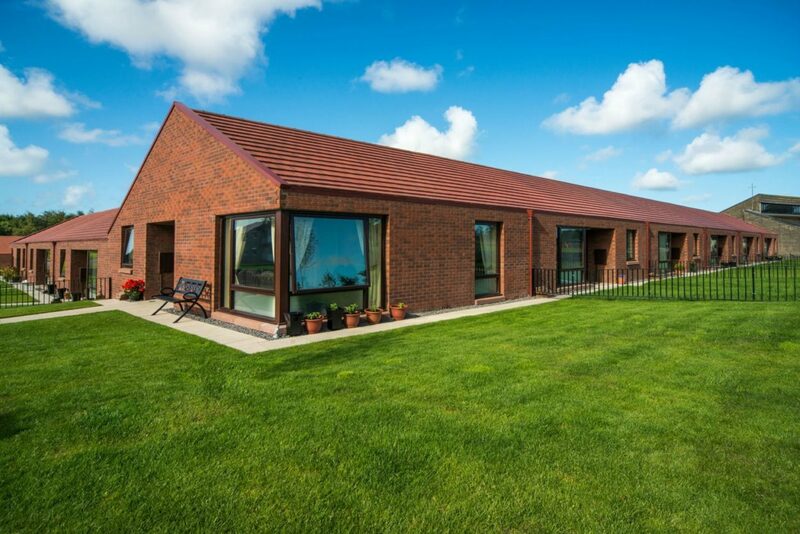 Introducing terraced bungalow housing to Mirehouse, the project provides 27 two bedroom dwellings to an area predominately established by larger two storey family homes. 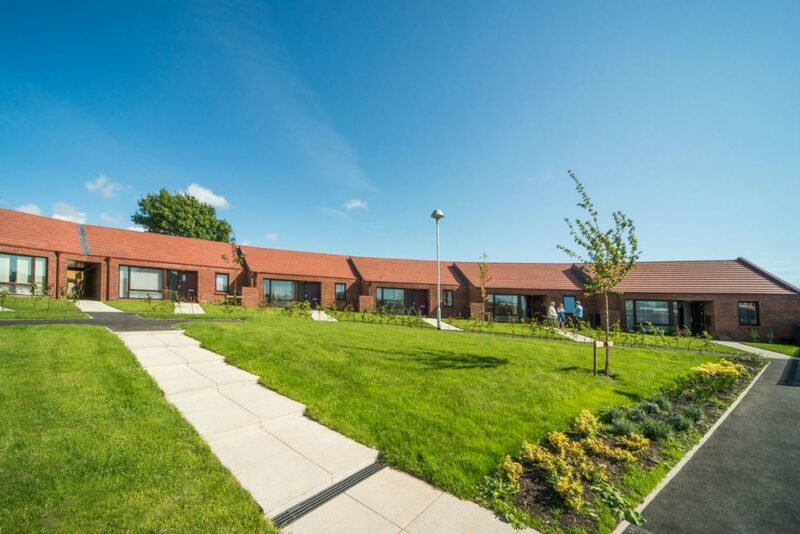 There are a high percentage of elderly residents living within Mirehouse currently occupying unsuitably sized accommodation, the new dwellings provide much needed new accommodation suitable for the local population. Layout and design inspiration has been drawn from the local plan and surrounding area, with the creation of external courtyards and crescents overlooking shared greenspace. 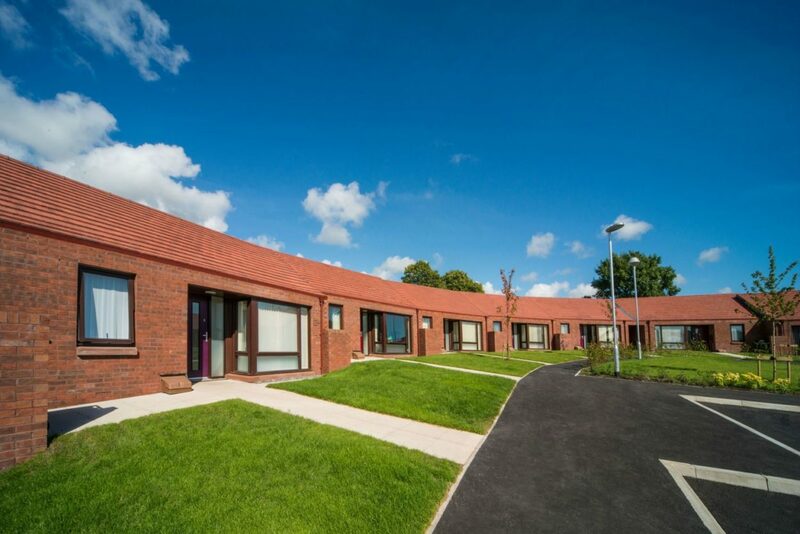 This developments establishes a modern design approach to terraced dwellings, providing residents with a mixture of private garden space, open courtyards and green public crescents. This creates a private space away from the main road and aids to stimulate community interaction within the common landscaped areas. 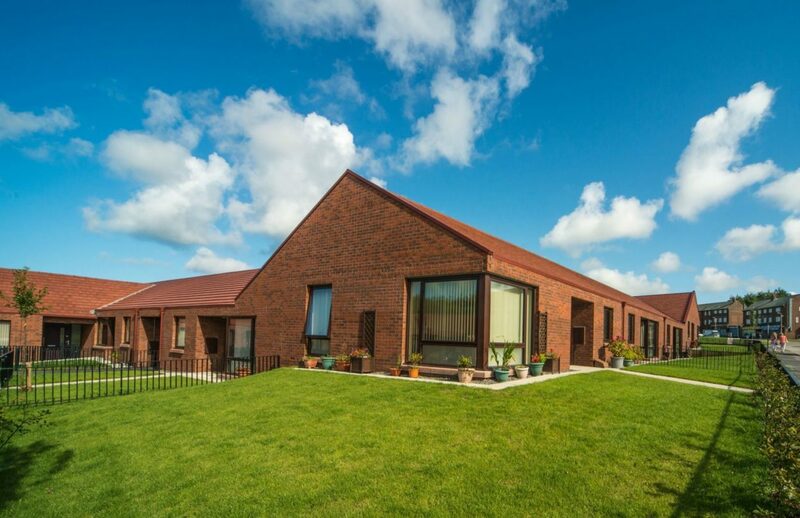 The creation of clean simple lines within strong angled forms over the bungalows provide a suitable proportion and scale for elderly residential homes. This coupled with a strong and continuous terrace form to help provide quality open spaces give pleasant views for both residents and visitors. The strong forms are complimented by quality brick detailing at the eaves, verges and corners. This attention to detail on the brick work will adds a further level of architectural quality within a durable and lasting material. Colour plays a warm and involved part of the new houses. Colour to individual entrances helps to individualise and distinguish dwellings (especially in terraces) for the elderly tenure, and through selection of a specific palette the scheme benefits by providing a very distinctive character.